The Malaysian Aviation Commission (Mavcom) is lodging a police report against the airline. "As of today, Suasa Airline Sdn Bhd does not possess a valid Air Service Permit (ASP) and therefore cannot perform a commercial air service operation. In order for an entity to operate a commercial airline business, it is required to hold an ASP and an Air Operator Certificate (“AOC”),” the commission was quoted as saying in a statement yesterday, 25 July. Mavcom explained that Suasa Airline had filed an application with the commission to operate a commercial flight from Kuala Lumpur to Langkawi on 22 July 2016, but the application was rejected. Additionally, it was said that the airline received its provisional ASP from the Department of Civil Aviation (DCA) on 15 December last year, it had not been issued with full ASP. "However, on 22 July, Suasa Airlines continued to operate this flight as a “demonstration flight” which is now being investigated by Mavcom," the aviation regulator said. The commissioner noted that MonSpace Sky Airlines, which does not hold an ASL or ASP, had marketed themselves as an airline. Section 36 of the Malaysian Aviation Commission Act 2015 (Act 771) states that "no person shall undertake to carry by air or use any aircraft for the carriage of passengers, mail or cargo for hire or reward on a non-scheduled journey between two or more places of which at least one place is in Malaysia except under and in accordance with an air service permit granted by the Commission." Meanwhile, Mavcom also advised the public against using the services of the company to prevent inconvenience in their travels since the company did not have the required ASP to carry out commercial flights. 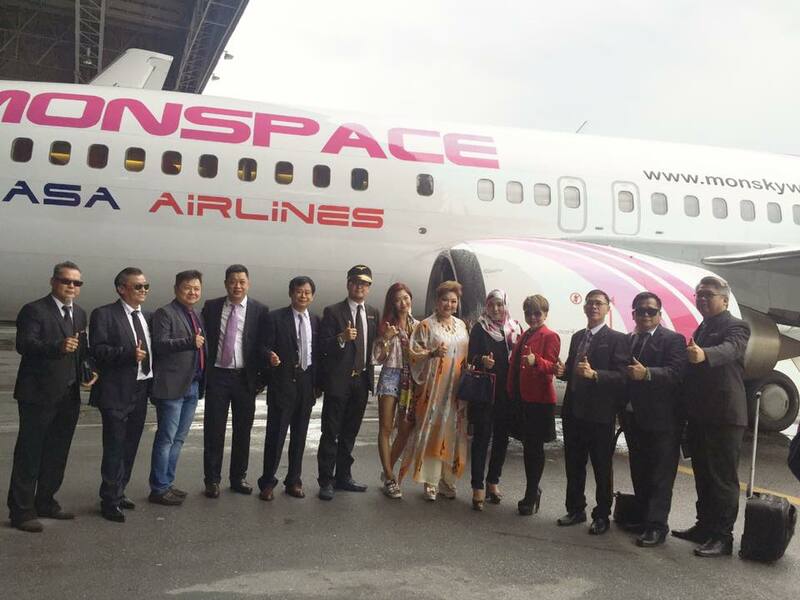 According to Department of Civil Aviation (DCA) director-general Datuk Seri Azharuddin Abdul Rahman, the DCA had not issued any air operator certificate (AOC) either to MonSpace Airlines or MonSpace Sky Airlines. "However, Suasa Airlines aircraft were marked with 'Monspace Suasa Airlines' and www.monskyways.com," he was quoted as saying by The Rakyat Post. He added that the DCA will ask Suasa Airlines to explain why it featured an unlicensed airline’s brand name on its aircraft. "This is a very serious offence. How can you fly without a licence?" Star Online reported Liow as saying. Liow reportedly said Suasa Airlines had operated without obtaining an Air Service Permit (ASP) from Mavcom. He added that although Suasa Airlines had received "technical approval" from the Department of Civil Aviation (DCA) in the form of an Air Operator’s Certificate (AOC), it did not give the company the authority to start flying. 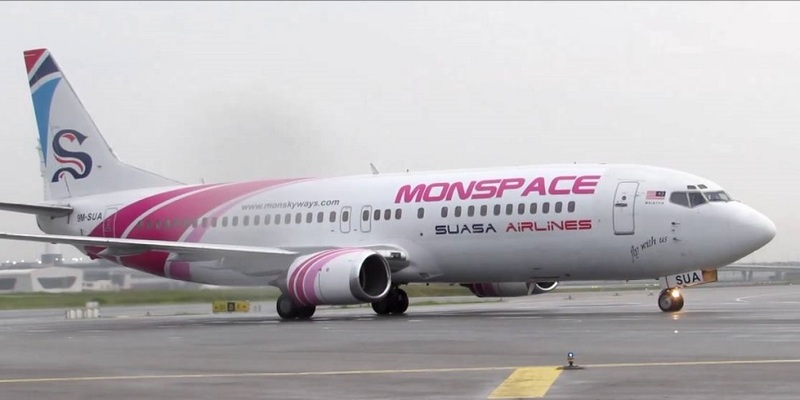 "In view of this, I’m very perturbed by the way Suasa Airlines is using Monspace Airlines to fly."